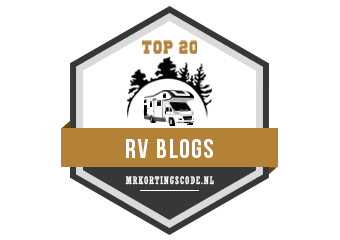 A few weeks ago Andy Harris (yes that Andy… him off the TV) and of Road Pro fame called me to tell me about a new gadget that Dutch caravanners were getting all excited about. Now not one to turn down the chance to test a gadget or two, when Andy asked if I’d like one of the units to test I of course said in true reserved fashion said “Well I suppose I can take a look at it”. Who wouldn’t pass the chance to check out the latest piece of tech gadgetry being made by those clever Dutch people at e-Trailer. A few days later a large brown box arrived. On a recent trip to the C & M Club’s site at Blackshaw Moore I took the opportunity to not only put my feet up for a couple of days with Sue but install and play around… er… seriously test… one of the units.. Opening up the box I found five smaller boxes, containing the main unit and four of the modules. Ok, so what is e-Trailer? The simple explanation is there is a black box that sends all kinds of information about your caravan to an app on your phone. It works with both Android and iPhones and there are various ‘modules’ you can add-on to get additional info. The actual unit is about 120mm long by 80mm wide and 40mm high with a good quality power connector at one end. In the box is the main unit, 1.5 metre long power lead, instruction manual and a card with a QR Code on it. Installing the unit is serious easy. You just hook up the power lead to a 12 volt supply. I opted to connected to a switched supply sort came on whenever the caravan master switch was on. This would mean it would be active when towing. Once you have powered up the main unit, go to the website e-trailer.nl/app and follow the link for your phone. In the case of my iPhone it took me to the App Store were I could download the app. Once downloaded launch the app and follow the on-screen instructions to register. I was a bit surprised it asked for my postcode and house number, but I guess this is how they register the unit to you for warranty etc. Once you have created your account in the app and logged in… well remember that card with the QR code on it, simply scan the code and it pairs the app with the unit you have just installed. You are done! It’s that easy. Now to add the modules. The first one I added was the temperature module. You get a small puck shaped device and following the on-screen prompt, scanned the QR code. Done… a quick scan and now I have the temperature reading. For each module you can set lower and upper limits and the type of alarm… visual notification, vibrate, sound. From reading the instructions you could put this sensor in the fridge so when you are driving along you can keep an eye on the fridge temperature to make sure your wine or beer is perfectly chilled when you arrive. From what I understand you can add additional temperature sensors so you can check what the temperature is in the caravan at the same time. Next was the voltage sensor so you can keep an eye on the battery voltage. Again it was a quick scan of the QR code and I could see instantly what the battery voltage is and its relative state of charge. (I have yet to check how accurate this is). Again, it is easy to set the limits, just tap the two cogs in the bottom left corner…. … And you can adjust the upper and lower alarm voltages. This is really useful as you can correctly set it for flooded call, AGM or lithium batteries. Want to know if you have left your roof light open or TV aerial up… or even if your fridge door is open? There’s a module for that… The E Switch. In the E-switch module you get two magnetic contact switches that come with 3M pads so you can stick them almost anywhere. Again adding them is a simple scan of the QR code and follow the instructions on-screen. I edited the text for the first switch so I know it is the TV Aerial. If one of the switches is open, on the home screen you see that the padlock is orange, close the switch and the padlock closes and the icon turns green. So what else can it do? Well I also have the tyre pressure monitor module. You get two pressure sensors to attach to the tyre valve stems. The sensors are the type that you can change the battery, which I much prefer, as opposed to the sealed type. I’ve not installed the TPMS module yet as I’m still testing out other TPMS systems on the Amarok and caravan but no doubt it will be an easy install… by just scanning the QR code! The last little trick that is has is it is an extreme accurate caravan levelling aid. Again a quick scan of the QR code gets this up and running and follow the on-screen instructions to determine your level point and it becomes easy to level next time you pitch. OK so what did I think about it? Well it was super easy to install. It was also super easy to add each module. I like the fact that when you hit up to set off you can check the battery voltage and see if it is charging. You can make sure what ever you have attached the magnetic contacts to you can see if they are in the correct position (i.e. closed, lowered etc.) and you can check the fridge or caravan temperature and tyre pressure. While driving you can keep an eye on things like your caravan’s tyres, battery charge and fridge temperature. when you arrive on site, reversing into your pitch you can easily see if the caravan needs levelling side to side using ramps or blocks and when you un-hitch you can adjust the jockey wheel to get perfect levelling front to back. Now I do have a problem with it. Come what may I cannot get it to vibrate, notify me or play a sound when anything goes out of the parameters (switch open, battery voltage low etc. I made sure I had the latest version of the app, I have double checked all the settings within my iPhone but I cannot get a single ‘vurrrrrr’ or ‘ding’ out of it. Admittedly my iPhone is now 2 versions behind the times but if the app installed I’d have expected it to work ok. I’ll continue to work on this one. I think the idea and technology is great behind the product and I really do like it and can see lots of additional applications could be added on in the future. Why though is it an after market accessory? When you can be paying the best part of £30k for a top end caravan should not this sort of information system be standard? When I hitch up and set off, I’d love to be able to check the battery voltage (and charging current) check the fridge was working, tyre pressures, doors and hatches closed… and it is not beyond the engineering skills of man to be able to have a bulb out detection system for the road lights even…. all fed directly to your phone. If a manufacturer decided to install such a unit the price point would drop dramatically.. and that’s one of my other niggles. The technology and ease of installation is great, however there is a bit of an ‘ouch’ in the wallet as currently the comfort pack is priced around £380. That’s a lot of nights on site. You can build up the unit by just buying the individual modules though. Do I want one… “Yes”…. would I buy one…. I’ll just go and have a word with Sue. A very good review however I guess it is okay for most gadget freaks. Even though I am a bit of a gadget freak I think most of the functions are totally unnecessary. We have a satellite dome, self levelling fitted and a gauge to tell us the level of the water in the on board tank. We already have the Tyrepal sensor system. Although we should use the facility, we have never bothered with running the fridge while travelling. The only really useful function are the modules to advise if a window has been left open , but not sure if the modules would look unsightly. Keep the reviews coming is as most interesting. This is a very easy way it seems to get your caravan to match what any new Swift has as standard. On my Sterling Elite (and actually on any new Sprite even!) you can do all these things apart from the aerial up and down sort of things. So I’d like those modules but won’t need the temperature ones or any of those. If of course you paid £35,000 for a Buccaneer you need to add all these, as even that has none of this functionality yet a Sprite has it for less than half the price! Doh. Hi Simon, like Ian has said! Alright for those who have the capacity, as the Misses and I go native in the Highlands or moors I like to keep it simple. my phone is generally off and in the glove box as we most times have no signal.